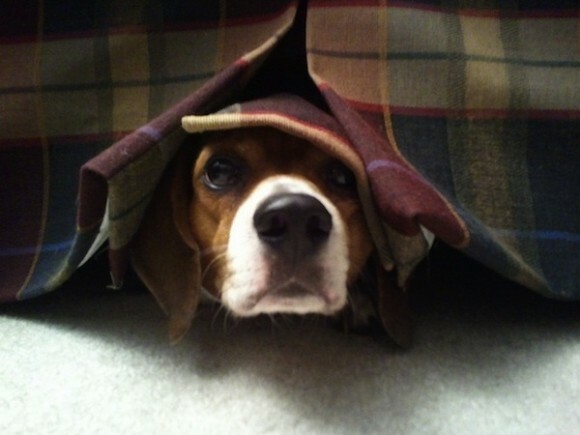 Make sure your pet always has a secure place to hide whenever they feel insecure. This could be under furniture etc. Make this place of comfort accessible to them. Pets feel great comfort in retiring to a familiar den which makes them feel safe. Walk dogs as much as possible during the day, and keep them indoors at night during fireworks time. At night- close windows and doors, and play soft music to muffle the sound of the fireworks. Make sure your pet is always in a safe, secure environment. A lot of dogs tend to run away during this time of the year in fright. It’s always safer to have your pet micro-chipped or atleast have a tag with their name and your number engraved. If your pet shows signs of fear- ignore that behaviour so that your pet realizes that there’s nothing really to worry about. Consider feeding your dog slightly earlier in the day, so that if they do become stressed with the loud firework noises in the evening, their eating won’t be affected. Don’t get angry or upset with your pet at this time. After all- they are experiencing a normal fear reaction, and getting upset with them will only stress them out more. Distract your pet- with toys or the nicest chewy you can find! Do note that a frightened pet can show signs of aggression- and so do not allow children and other pets to pester the frightened animal. Try not to react to the sound of fireworks yourself. 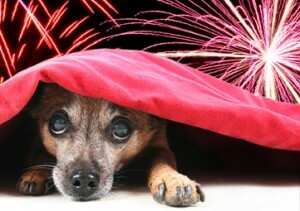 If you jump, shout or tense up when you hear fireworks- you may make your pet’s fear worse as your body language will convey that there is something to be afraid of. Avoid leaving your pet alone. Remember that a frightened dog is not rational. And remember- do provide some comfort and cuddles if your pet needs it! I definitely will make sure my dogs feeling safe…thanks for all the tips! !